"This program...[is] well on its way to creating even more magical performances!" For the fall play, tickets are $10 for adults and $8 for students/seniors. For the spring musical, tickets are $12 for adults and $10 for students/seniors. In advance, credit card orders are available through our online ticketing service at cchsth.booktix.com. At the door, cash or check (made payable to Cedar Creek Theatre) are accepted. Absolutely! We begin selling tickets one hour prior to curtain. There may be limited availability. Yes, seating for all performances is assigned through our online ticket ordering service. Should you choose to order via cash/check, the box office will assign your seats. Yes! Online tickets are available for all performances through our online ticket ordering service at cchsth.booktix.com. All major credit cards are accepted through this secure server. Yes! Please contact our producer, Ms. Paula Londono at (609) 593-3560 x4028, or email her at plondono@gehrhsd.net. Yes, our theatre is completely handicapped accessible. Please contact our producer, Ms. Paula Londono at (609) 593-3560 x4028, or email her at plondono@gehrhsd.net. What shows are you performing this year and when? Cedar Creek Theatre presents a fall play in November and a winter musical in late February/early March. When do the shows start? Evening performances begin at 6:30pm and matinee performances begin at 1pm. Where are you located? 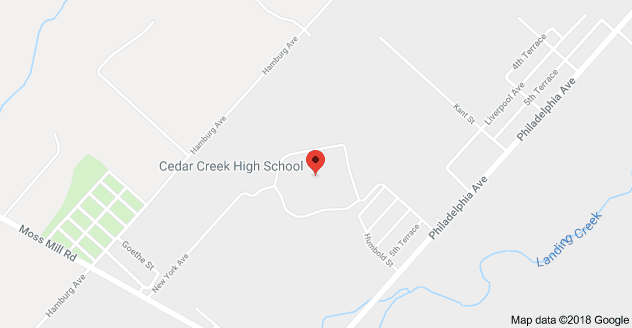 Is there parking available?Cedar Creek High School is located at 1701 New York Avenue in Egg Harbor City, NJ 08215. Parking is available in several lots at the school. How can I support Cedar Creek Theatre? Can I buy an advertisement? We encourage the support of all members of the community to purchase an ad in our playbill. Please read about advertisement opportunities here. I'm a musician. Can I play in the orchestra for the Musical? Yes! If you are interested in participating in the pit band, please contact Mr. Martinez at manuelmartinez@gehrhsd.net. 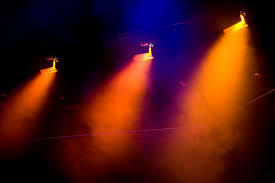 Is there an opportunity to be on stage crew? Yes! If you would like to participate, please email Mr. Stephan at jstephan@gehrhsd.net. Mr. Stephan is the director for the program. You can read more about him and the rest of the staff here. Does it cost anything to participate in the Cedar Creek Theatre Program? Is there a tuition? There is no tuition required for participation. There is a playbill advertisement fundraising requirement for all cast members in order to participate. Other costs include: t-shirts, DVDs, etc. How often do you rehearse? When do they start for each show? Rehearsals are held after school from 2:45-5:45pm, except during tech week where there will be evening rehearsals. Most cast members can anticipate having rehearsal 3-4 days per week. All audition information for our shows can be found here. What if I can’t sing or have no experience? No problem! Come to the information workshop in the fall and/or the audition workshop in December and meet the staff! Past participation is not a requirement for working on a show at Cedar Creek! Yes! We are part of the New Millennium Production Company of the Greater Egg Harbor Regional High School District, a summer theatre program open to all students entering 9th through 12th grades at Absegami, Cedar Creek, and Oakcrest High Schools. For more information, ​please email Mr. Stephan at jstephan@gehrhsd.net.